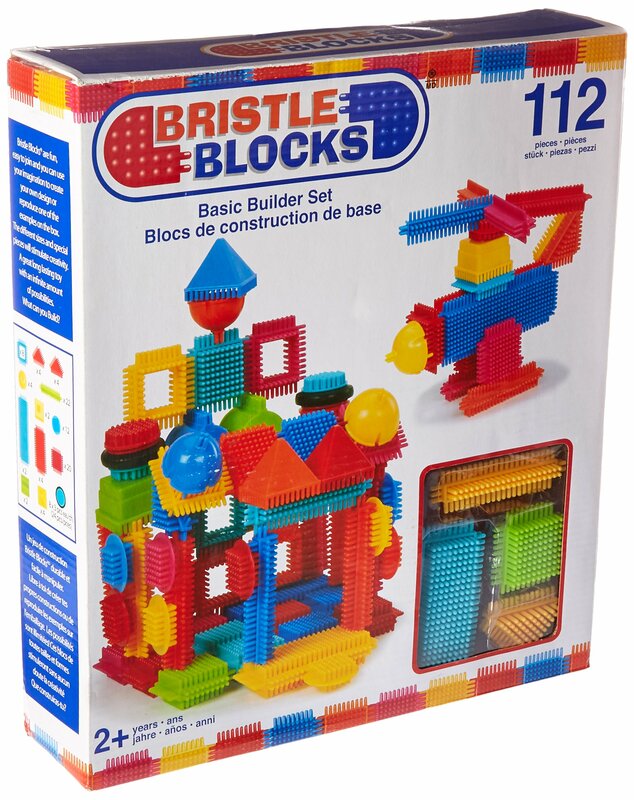 Size:112-Piece The Battat Bristle Blocks 112-Piece BasicBuilding Set is ideal for building hand-eye coordination and stimulatingyoung, curious minds. Bristle blocks feature soft, interlocking bristles thatstick together at any angle for frustration-free building. This basic buildingset includes 112 pieces in assorted sizes and vibrant colors for hours ofimaginative play. Eight (8) functional wheels add motion to objects, providingadditional options to young builders. The blocks in this set are compatiblewith Battat Spinaroo and Stackadoo bristle block sets. Recommended for ages 2years and up. From the Manufacturer Bristle blocks have soft, interlockingbristles that stick together at any angle for frustration-free building. The112 Piece Bristle Blocks are perfect to stimulate young minds. Features 8wheels and lots of fun shapes. Ideal for toddlers.